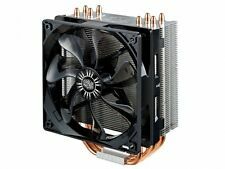 Size:3 Heat Pipes | Color:ETS-N30R-TAA ENERMAX ETS-N30II is a compact 9cm fan side flow air CPU cooler created for small systems. The heat sink incorporates with patented VGF (Vortex Generator Flow), VEF (Vacuum Effect Flow) structure, and HDT (Heat pipe Direct Touch) to ensure rapid heat absorption from CPU. 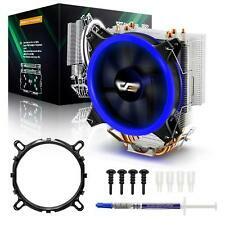 (1 x Heatsink With 5 Heatpipes & 120MM LED Fan. AMD: AM4/AM3 /AM3/AM2 /AM2/FM2 /FM2/FM1/Ryzen,APU A12/A10/A8/A6/A4,FX 8/6/4-Core,Phenom II X6/X4/X3/X2,Athlon II X4/X3/X2,Athlon X4). 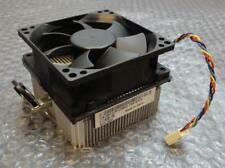 CPU fan speed: 1200-2200±200RPM. Material: Aluminum. Available model Life: 30.000 hours. Crrence：0.05-0.15A. 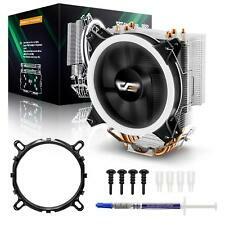 Extra CPU Cooling Fan Socket Base Dock Kits For AMD 940 AM2 AM2 AM3 AM3 . Socket AMD 940 AM2 AM2 AM3 AM3 . Net Weight: 7g. 2,650rpm, 27.5dBA without FAN MATE 2. - FAN MATE 2. - FAN MATE 2 Cable. Does not generate noise or vibration in Silent Mode. - User’s Manual. - Double-Sided Tape. Pure copper and pure aluminum base materials ensure excellent heat dissipation. Socket 754/939/AM2/AM2 /AM3/AM3 /FM1/FM2/FM2 . 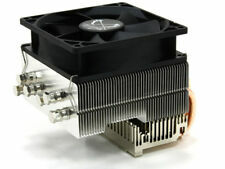 AMD platform 1 x CPU Cooling Fan. Fan speed: 2200±10% RPM. Fan size: 80 80 25mm. Your recognition is our power to move forward, especially to a beginner like us. Trending at $22.73eBay determines this price through a machine learned model of the product's sale prices within the last 90 days. Acer Aspire M5100 Series : M5100-E1208A, M5100-U5300A, M5100-B5302A, M5100-U5301A, M5100-EF9500A. Acer Aspire M3100 : M3100-U3300A. 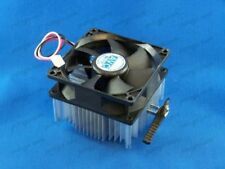 Foxconn AM2 Series CPU Heatsink / Fan. Acer Aspire E360 : E360-UA421M. 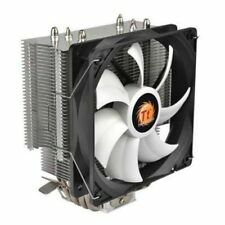 AMD FX 6100 Heat Sink CPU Cooling Cooler for 3.3 3.9 GHZ CPU Socket AM2 AM2 AM3 AM3 . COPPER CORE with Thick Heatsink, RED Fan Edition. Socket 754 / 939 / 940 / AM2. 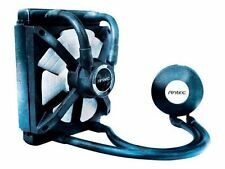 Cooler Master Hyper 212 EVO CPU Cooler Unmatched performance for the value, these are the tenants that guided Cooler Master engineers when designing the Hyper 212 EVO. Patented Continuous Direct Contact (CDC) technology ensures that the heat pipes are free of barriers while drawing heat away from the processor. A PWM fan ensures that fan speed can be intelligently controlled to ensure that it only speeds up when more cooling is necessary.